I don’t think many people today believe that we are still in a bad market. I also think most people think times are good and getting better. When it comes to investing, I think it’s tough, in these times, to be a beginner or someone who started looking at real estate after the last downturn. Those of us who have been around a long time understand that most industries have cycles and they keep repeating themselves on a regular basis. The advantage in real estate is that it NEVER goes out of business. Even though it does go through those cycles, everyone needs a place to live. If you are in it for the long haul, you are always a winner, especially using our Learn, Plan, Invest method. 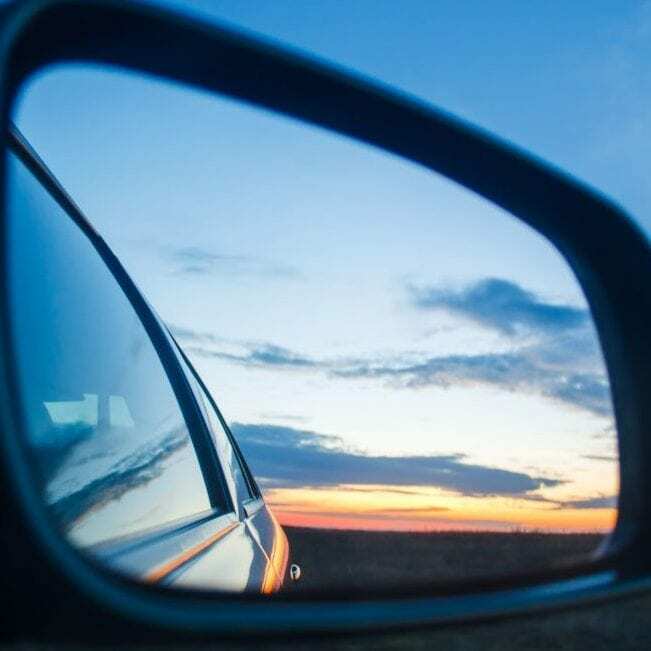 You may be asking why I used “Looking In the Rear View Mirror” as the title to this article. What I am getting at is that people who only look back for a few years can get very worried about how bad it got and how the upturn might end again soon. If you fall into that category, there are a couple of things you need to do. You need to do research in the areas you are thinking about investing in, and don’t just look back at the market for a few years. Go back 20-30 years and see what the properties were selling for then and what the rents were then. Compare that to today, and you will see how good an investment back then would look today. The second thing to think about when doing your research is how bad it was during the downturn. When you read the papers written during that time, it seemed like everyone lost their shirts! If you actually check, you will find that a fairly small percentage of the total ownership actually lost their property. When it comes to investment property like apartment buildings (our specialty), there is an even smaller percentage who lost their properties. The take away is this: If you don’t see the long term value of owning investment property, then you should be afraid because you could get stuck owning an asset that you can’t sell if you need to sell in the bad times. If you are in this for the long-term benefits, then your research will show you that real estate, over the long-term, does very well. We have countless cases from our clients to show this. If you are considering investing in real estate, it’s time you start looking ahead with confidence and begin investing. Oscar Wilde said it best when he said something to the affect of no man is rich enough to buy back his past. This is true, yet wealth can help you secure your future. If you are in the Los Angeles area and want a copy of our 50 year market study, give your nearest office a call or send an e-mail here. This is the hard data we use to prove our market is strong. We look forward to hearing from you.